John Burns has been serving seniors and their families since 1990. 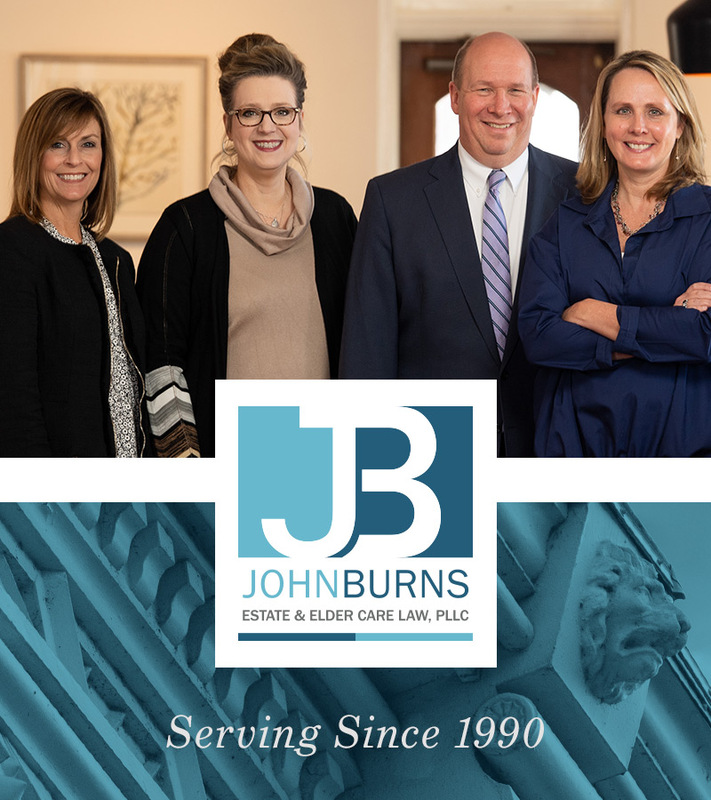 Serving North Alabama and Middle Tennessee, John Burns and his team use dependable legal guidance and expertise when it comes to navigating through life & elder care planning for individual and corporate clients. Mr. Burns focuses in services including: revocable living trusts, wills, powers of attorney, living wills, healthcare power of attorney, life insurance trusts, family limited partnerships, limited liability companies, charitable trusts, Medicaid planning, and other estate planning and tax planning strategies. Need help planning for future stages of life for you or a loved one? Focusing primarily on the needs of families & individuals as they age, including senior housing & home care, long-term (or nursing home) care, guardianships & health care documents, Medicare & Medicaid. How do I establish a will, trust or legacy? Ensuring that your plan will still work as originally designed & providing the opportunity to make any needed corrections based on current situations & estate tax planning goals. How do I protect my assets or legacy? Asset protection requires careful planning. Threats to your assets can come from a wide variety of potential predators, including future creditors and unnecessary taxes. Need help making financial & life decisions for a loved one? Despite planning, sometimes a guardianship/conservatorship is necessary when one has lost sufficient capacity to communicate significant, responsible decisions about his or her health & safety. Can I secure appropriate care & protect my loved one's assets? Get the comfort of knowing that your loved one is safe & getting the right care in the right location. Our plans can protect assets despite the high cost of elder care by locating private and public funding to pay for long-term care. How do I protect my assets & ensure long-term health care? Medicaid planning offers you the piece of mind when it comes to payment options for long-term health care. Planning protects your assets while you receive the benefits & care you need. Am I eligible for Medicare & Private Insurance? Medicare is a health insurance program for individuals over the age of sixty-five (65) and for some disabled persons. Unlike Medicaid and other government benefits, income is not a factor in determining eligibility. A loved one passed away... How do I handle their estate? Probate and estate administration are the processes through which estate assets are transferred after death. How can I ensure care management for children or adults with special needs? Focusing on providing for the special needs of our loved ones with disabilities when we are no longer there to organize & advocate on their behalf. Is Veterans Aid & Attendance an option for me? Veterans Benefits can come in many forms, but the most common is Aid & Attendance & can be used by both veterans and their spouses even if the veteran has passed away. We have compiled a list of frequently asked questions along with answers that you may find helpful.